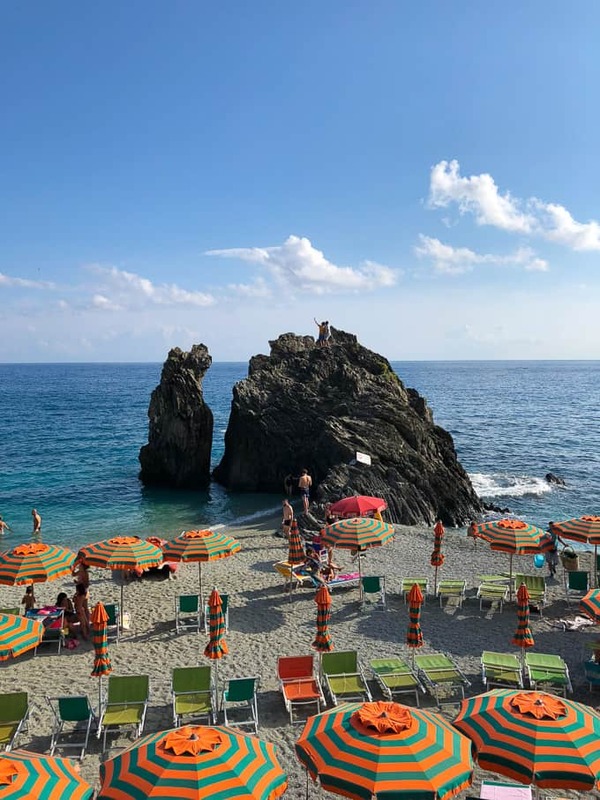 Cinque Terre was tied with Tuscany for my favorite stop in Italy. It offered my two favorite activities: beaching and hiking. The beach is absolutely amazing. The water temperature is perfect and the surroundings make you want to stay in the water forever, prune fingers and all. 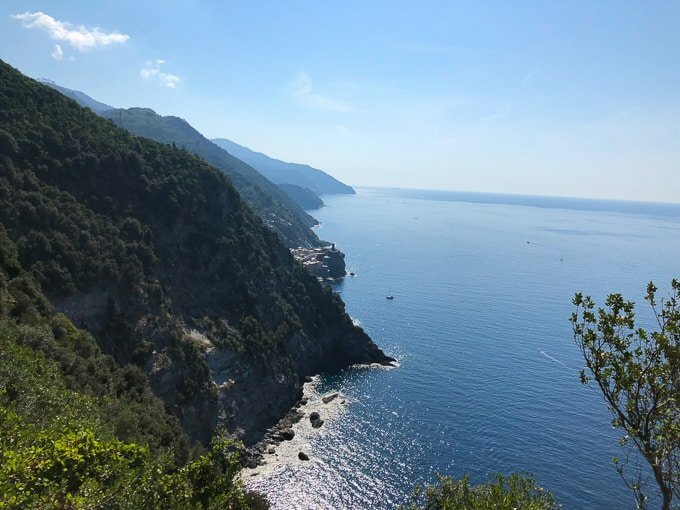 There are five towns in Cinque Terre and we debated whether or not to stay in Vernazza or Monterosso. 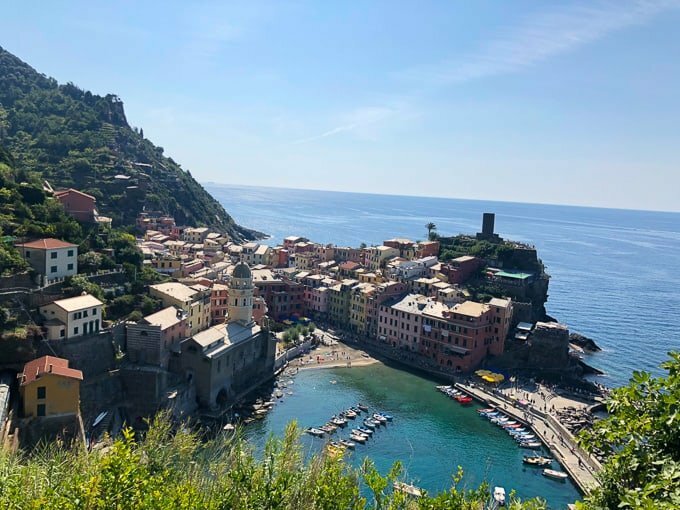 Rick Steves favored Vernazza but there weren’t a ton of reasonably priced and comfortable lodging accommodations there. 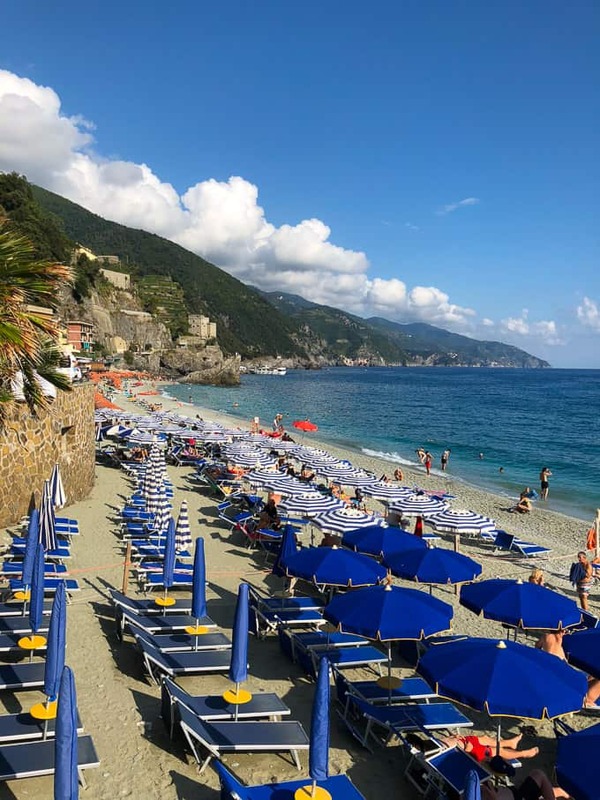 Plus, the more we researched it became clear that if we wanted quality beach time, we should stay in Monterosso. 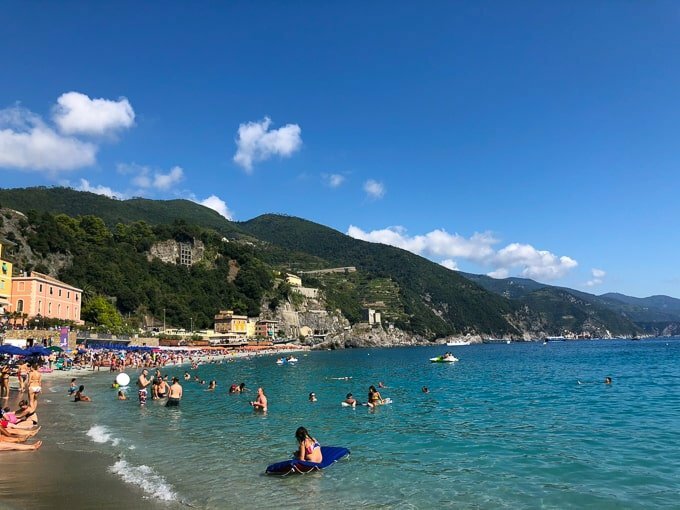 After we saw the beach in Vernazza and how crowded it was during the day, it totally solidified our decision. 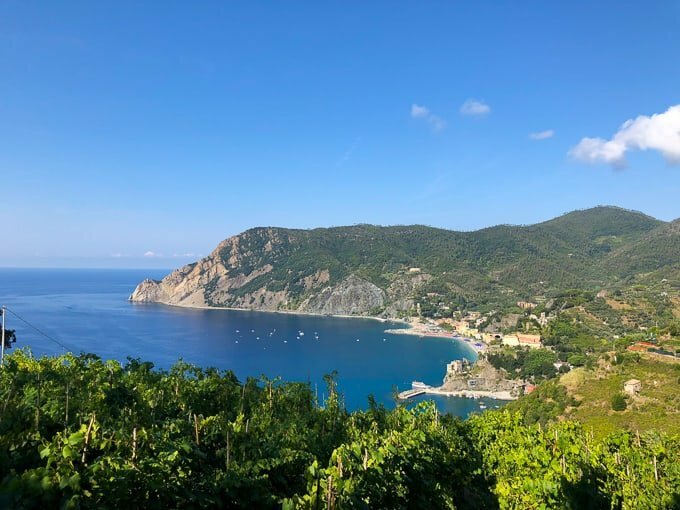 We took the train from Venice –> Florence –> La Spezia –> Monterosso (about 5-6 hours). As soon as we got off the train, we were in front of the beach and Steve and I looked at each other and almost started crying. We felt like we landed in paradise. 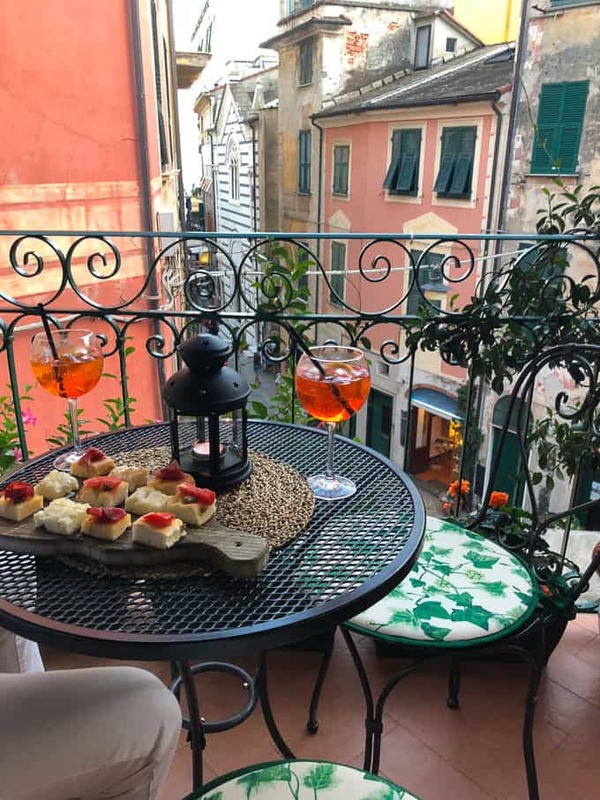 We stayed at the cutest B&B in Old Town of Monterosso called L’Antica Terrazza. 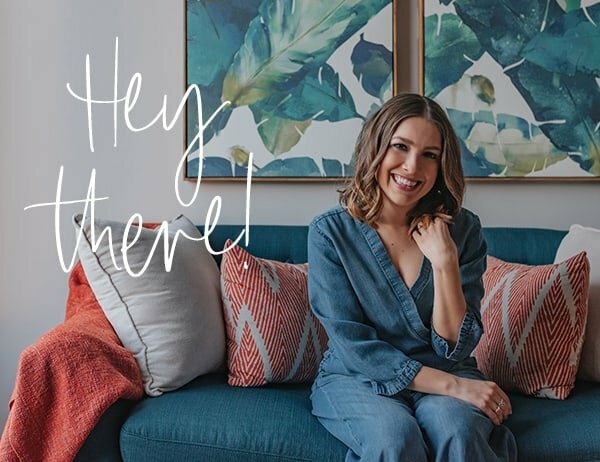 It was super comfy, the rooms were cute and had a beachy decor to them – lots of whites and blues. And it had the cutest little patio on the top floor with a view of Old Town. 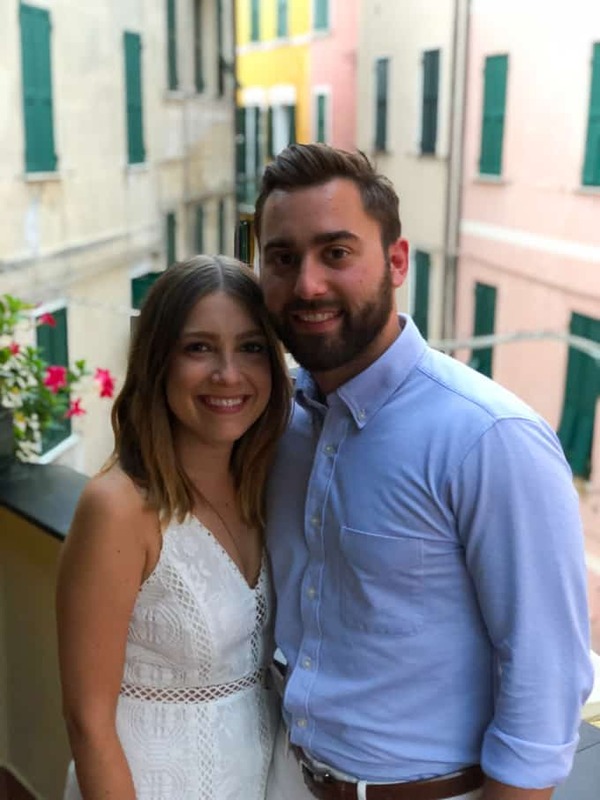 We arrived on our 2 year anniversary and Steve mentioned that to the owner when he checked in because he wanted her to confirm our dinner reservation for that evening. 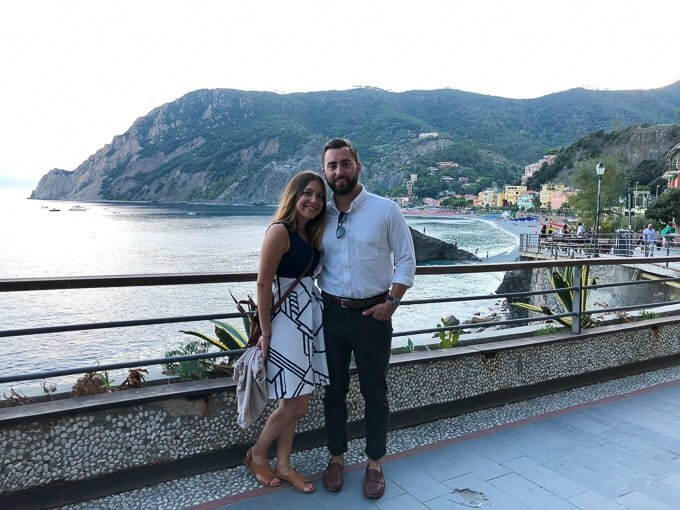 She was SO sweet and told Steve she would bring us some aperol spritzes and snacks for us on the patio to celebrate our anniversary. How CUTE was that?! We oddly enough met a couple girls from Rochester, NY on the patio (about 1 hour from where we grew up in Buffalo, NY) and they took this pic for us :). I love how small the world feels when you’re traveling abroad and meet people from the city you live in or your hometown. 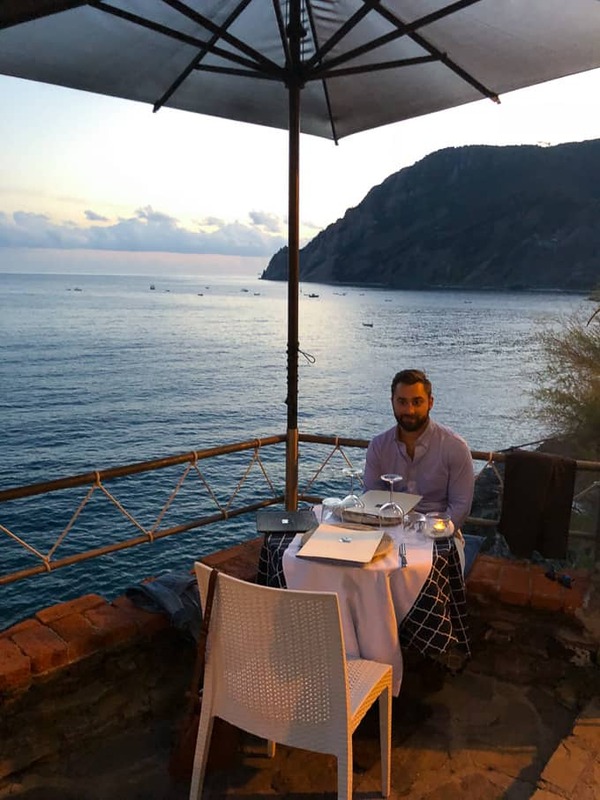 Steve made reservations at the best restaurant for our anniversary, L’Ancora Della Tortuga, and he couldn’t have snagged a better table! That view!! The food was very good too. 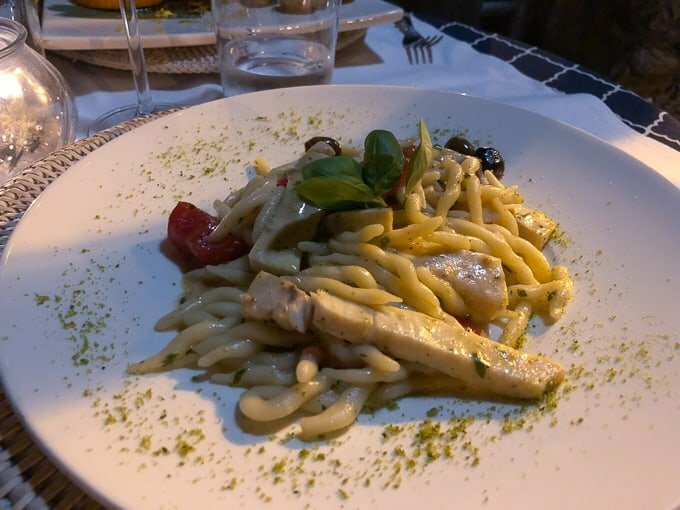 I had the best pasta dish – trofie (which is a short, thin, twisted pasta from the Liguria region of Italy) with swordfish, tomatoes, olives and a creamy walnut sauce. 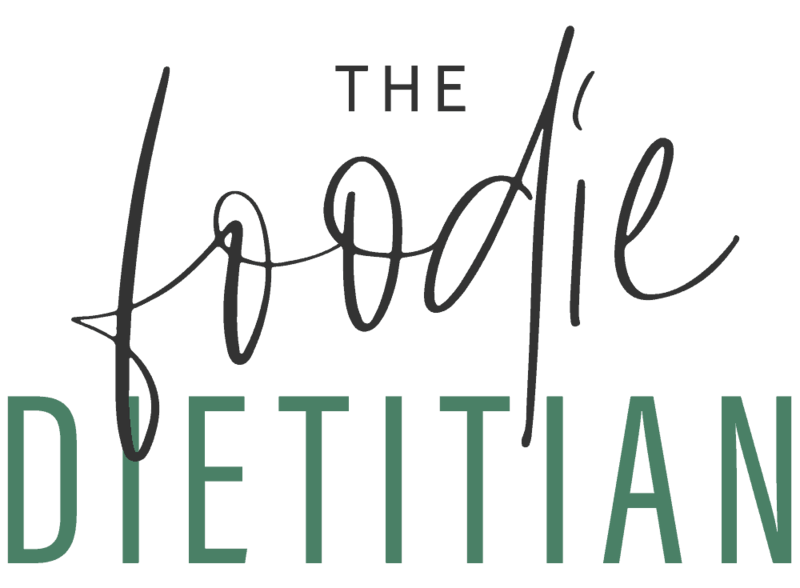 We brought back a jar of the walnut sauce and a bag of trofie pasta and can’t wait to try and recreate this dish! 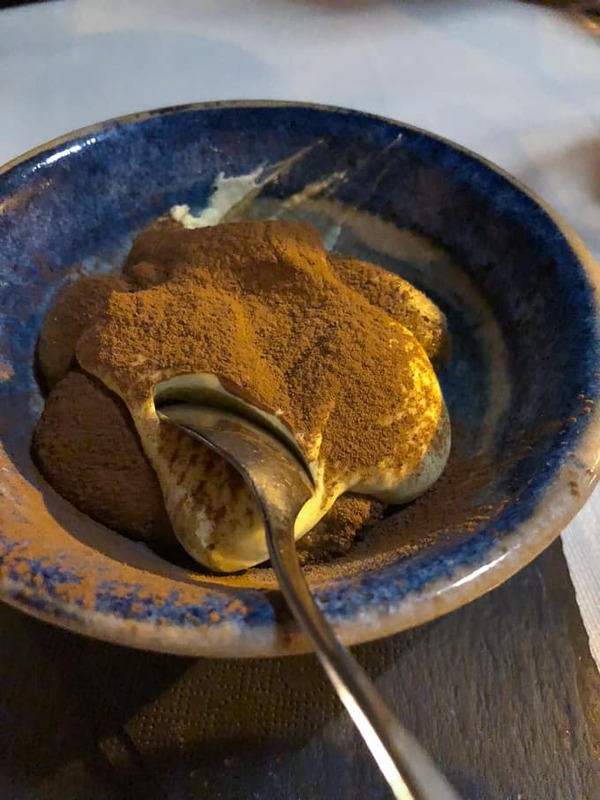 We also split the best tiramisu of my life. It was SO creamy and decadent. Day two was a beach day. Neither of us were sleeping well toward the beginning of our trip and so we slept in late. Plus, this is when my GERD started to affect me during the day so rather than go for a hike we decided to just chill and relax on the beach all day. Not a bad place to spend the day! Day three we decided to go for a hike in the morning and then beach in the afternoon. 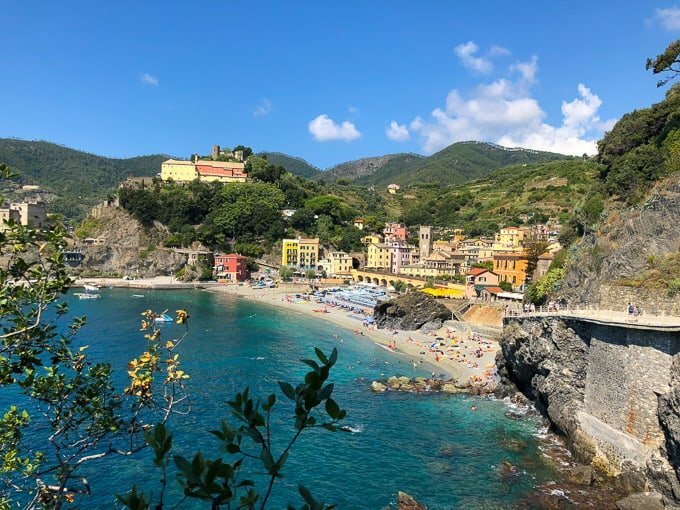 The most popular hike is Monterosso to Vernazza (or vice versa), which is about 2 hours long. 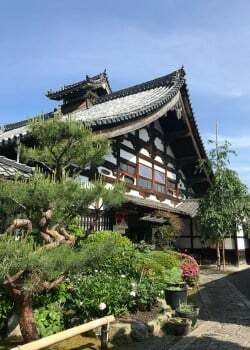 But if you’re looking for longer, more vigorous hikes there are plenty of options between the five different towns. The hike was beautiful and as someone who has a fear of heights, it didn’t trigger my anxiety at all. I was glad we started the hike around 10/10:30am because it got really hot toward the end of the hike. Also, the earlier you start, the less crowded the path is. 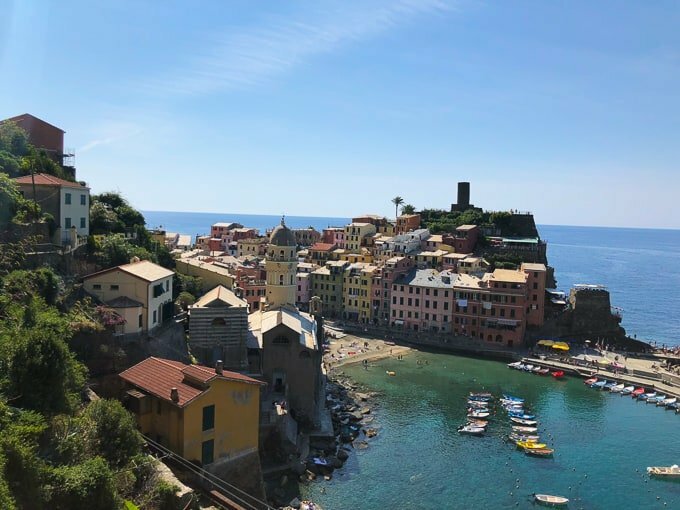 There’s Vernazza! We stopped briefly in town to sit on their little beach and eat the apples we packed with us. 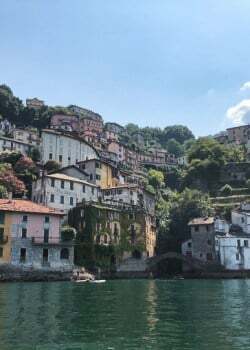 But the town was super crowded – I think a cruise ship debarked and so all the passengers were exploring this small little town. 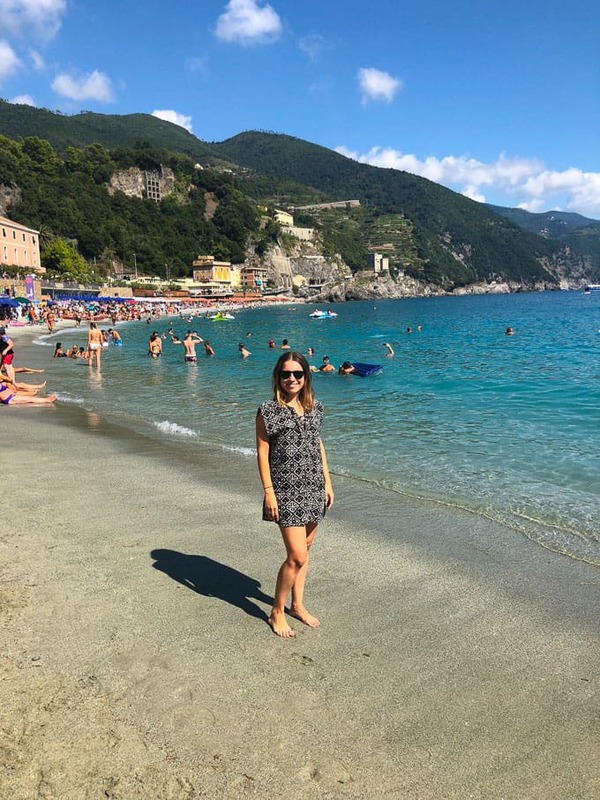 We took the train back to Monterosso and headed to the beach! Got a focaccia on the way there. 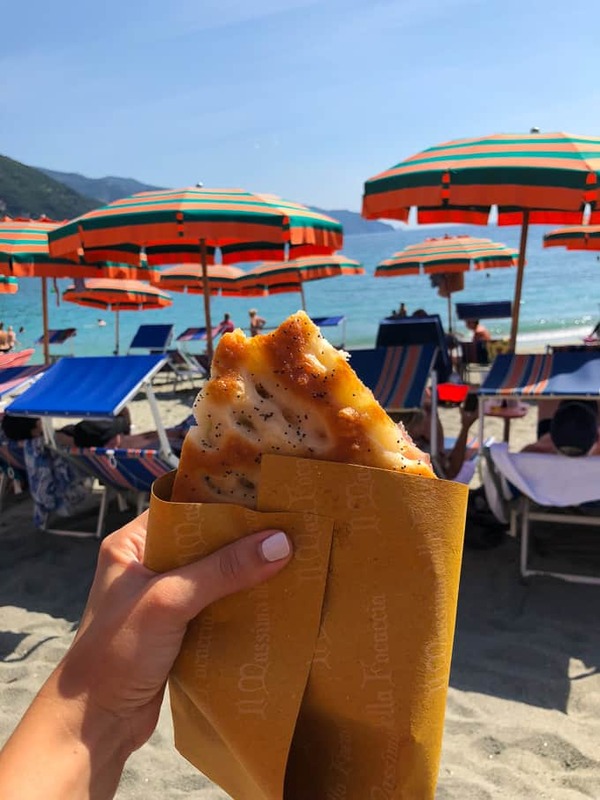 The focaccia in Monterosso was the best I had all trip. At the B&B they had this salt focaccia they would put out in the morning and it was heavenly. Especially dipped in egg yolk, or nutella :). 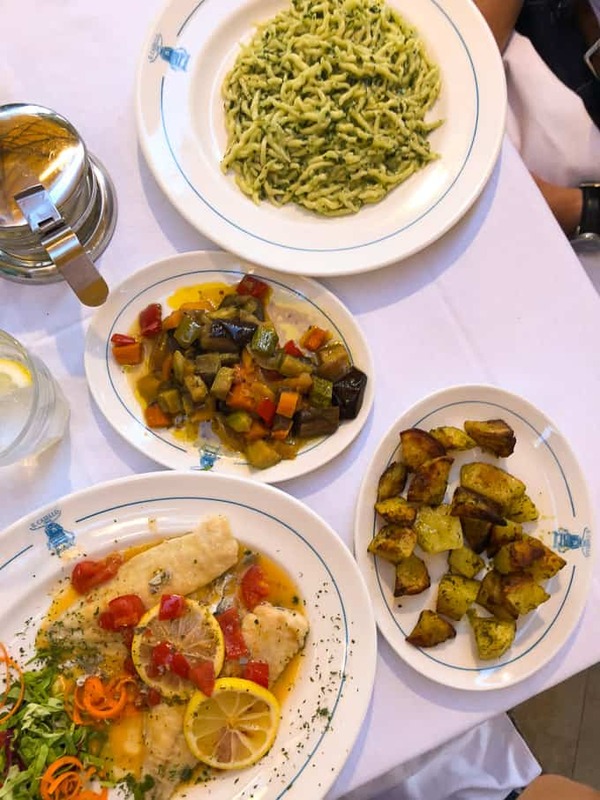 For dinner that night we went to Ristorante Miky, a Michelin restaurant in Monterosso. I honestly felt like it was overrated for the price. I enjoyed my dinner more the night before. 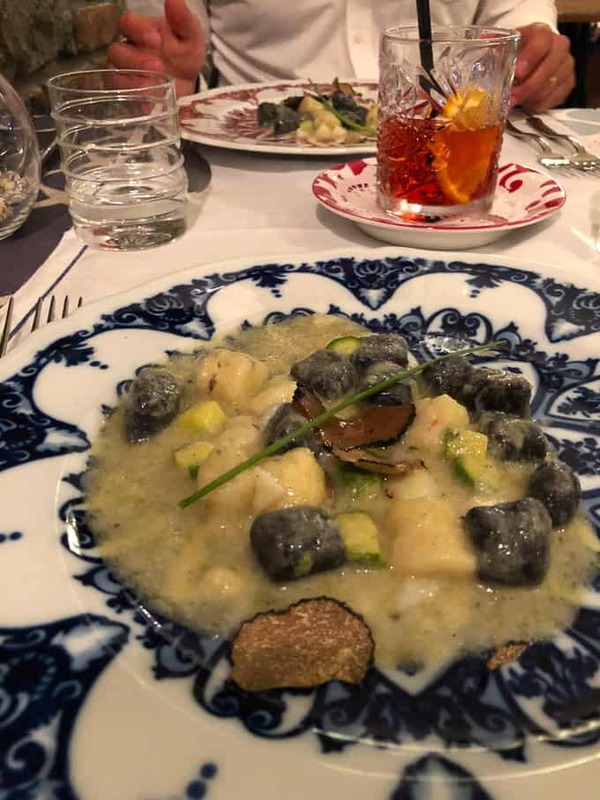 Gnocchi with truffles – the truffles are WAY better in Tuscany! 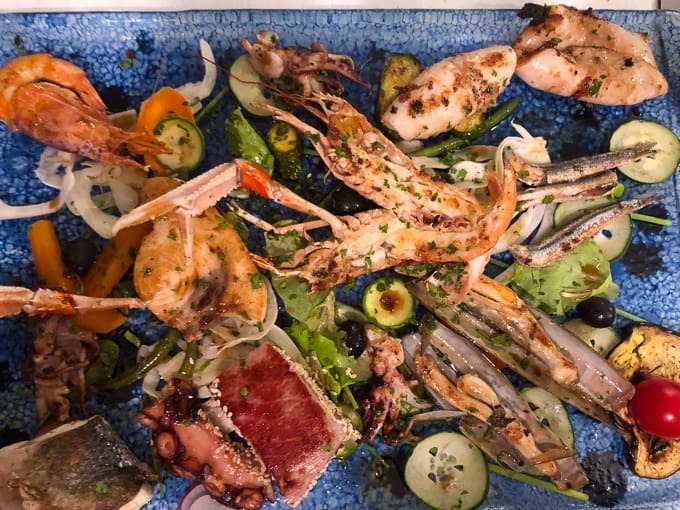 Mixed seafood platter. This was actually pretty good but I had a horrible stomachache this night so that also may have influenced my overall experience at this place. 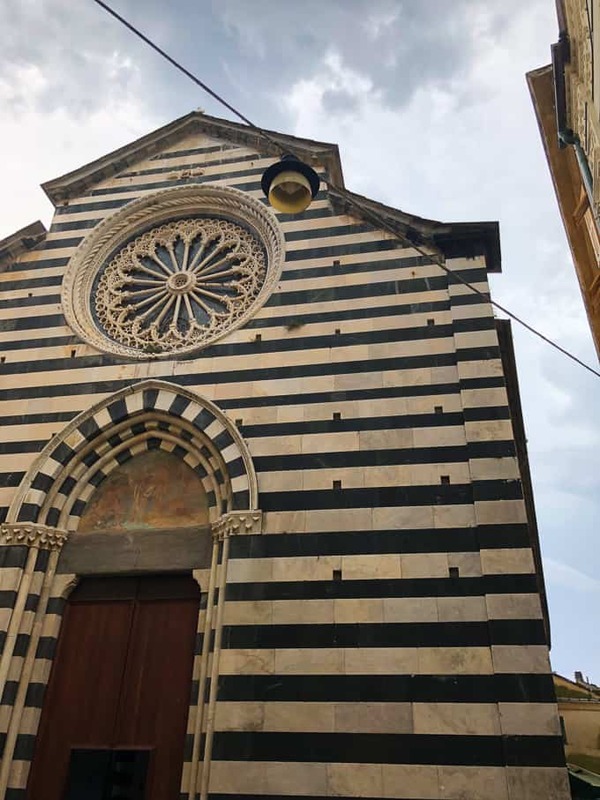 Day four was a half day because we were catching the train to Florence in the afternoon. It down poured the night before and was still drizzling in the morning so we just took a walk up to the lookout point in Old Town. Then the clouds broke and we got some gelato and walked down to the free Old Town Beach (which is not as nice as the New Town beach but I repeat, free). We laid out a poncho and sat on it while soaking up a few last rays of sunshine. I had the BEST salad for lunch that day at this cute restaurant called Da Eraldo. We had been seeing people line up to wait for a table for dinner the past couple nights so we knew it had to be good. If you want to go for dinner, be sure to make reservations in advance. And get the carbonara! We were both craving salads and something light but had serious fomo when we saw the carbonara go by! But this salad really did hit the spot. 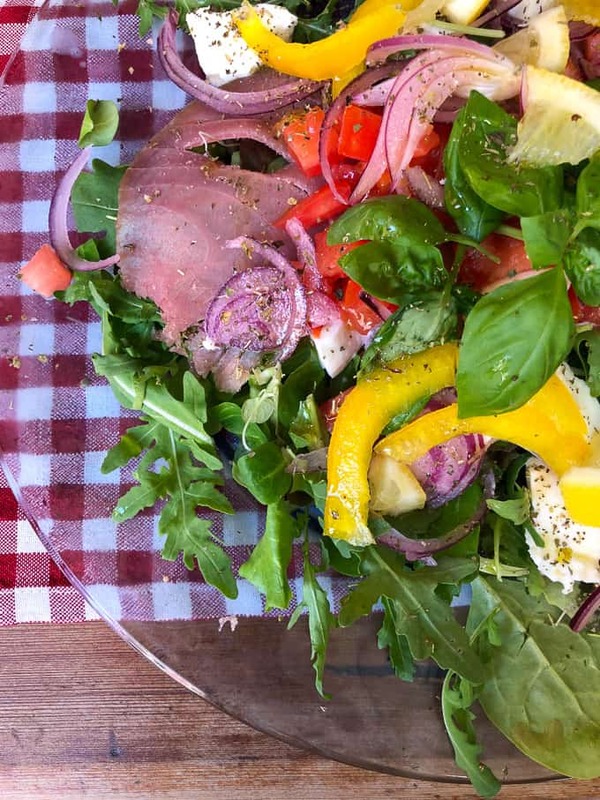 It had red onion, basil, yellow bell peppers, tomatoes, mozzarella, fresh thinly sliced tuna, arugula, thinly cut lemons that were so fresh you could eat them whole, rind and all, and a simple dressing with red wine vinegar, oregano and olive oil. It was heavenly. Those lemons!! I still can’t get over it. We brought some limoncello back with us and I’m excited to break that open. After lunch we headed to the train station to go to our next stop, Florence, where we met up with the Lydon clan! Stay tuned for the recap. 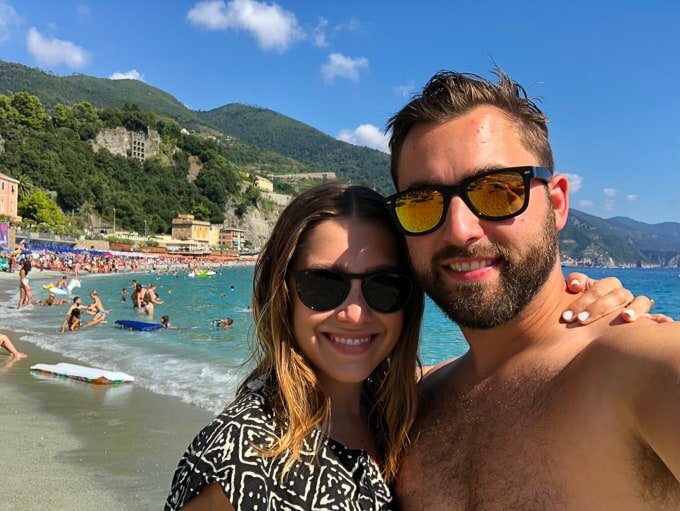 Check out some of my other travel posts below! 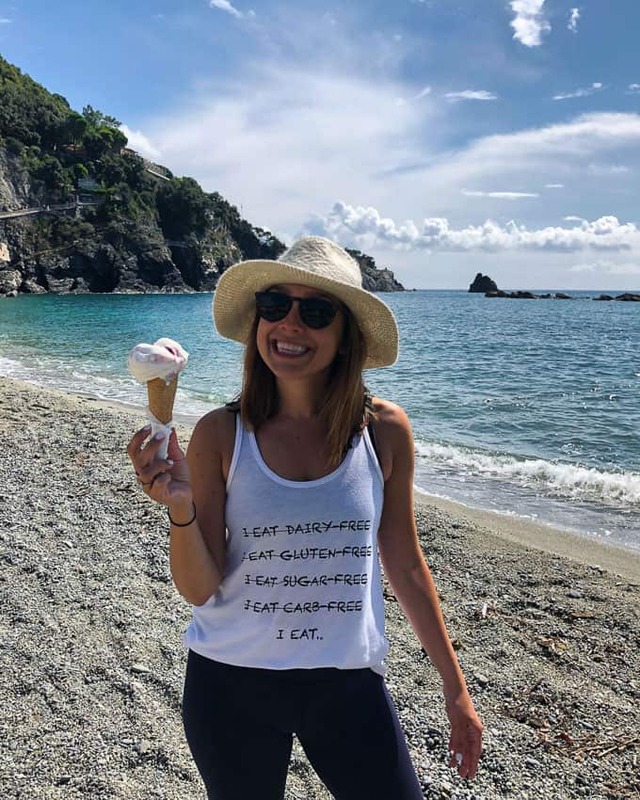 Loved your blog of your time in cinque-terre. 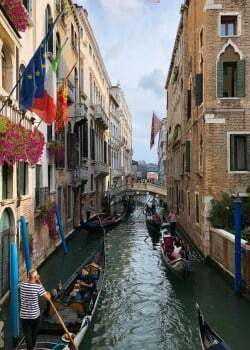 I used to go there annually in the 1970’s and always stayed in Sestre Levante, but the experience you described is the same. Brought back wonderful memories. 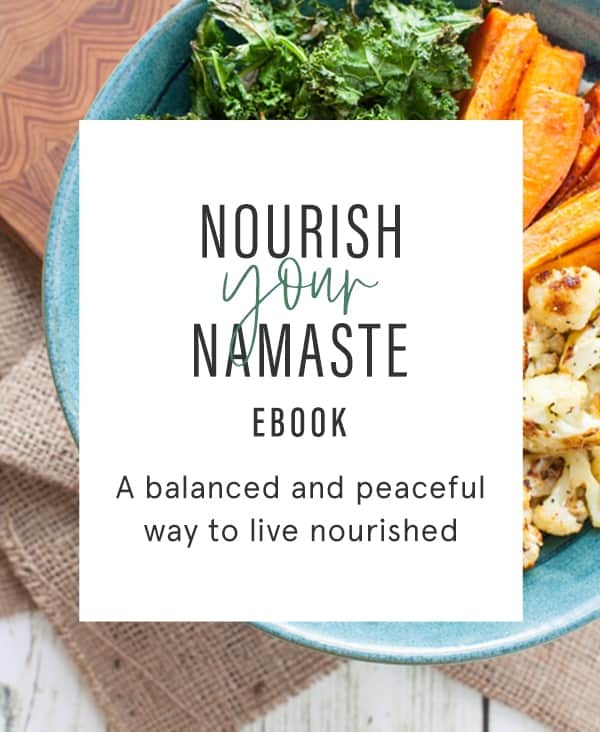 Oh how lovely! I’m so glad I could bring back some fond memories for you.